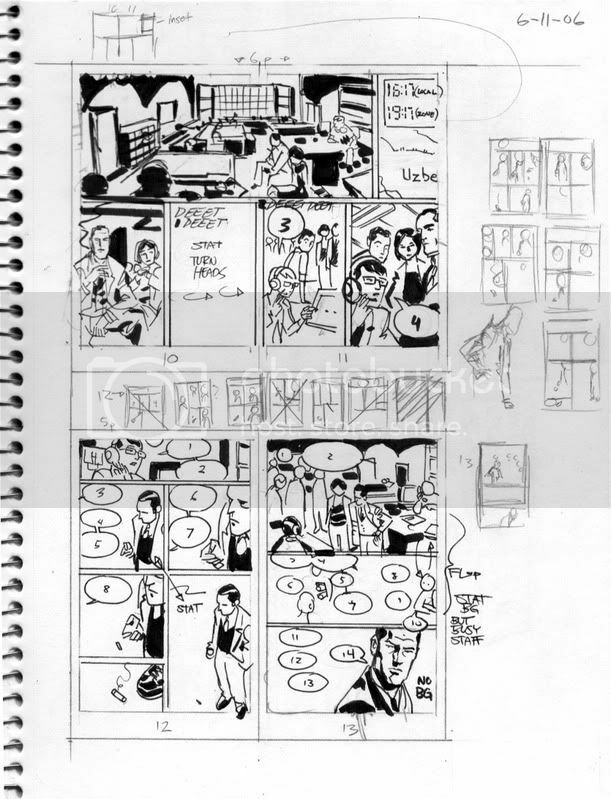 Chris Samnee: Little Thumbs an' Big Thumbs! Sorry if thumbnails aren't your bag, but I already had these scanned in (along with a ton of other stuff) for the backmatter of the Q&C trade, so I figured I'd go ahead and post a few here. While flipping through my sketchbooks I realized that only recently have I settled into a way of drawing thumbnail sketches. These old ones varied from veeery tiny with little-to-no detail to almost trading card size with blacks spotted. So, here are the two extremes for ya. I'll post somethin' cool soon, I promise... Well, I'll try. Always interesting to see how other artist work.I'm a 'thumbnail the size of trading cards with mass detail'artist myself. Gotcha. 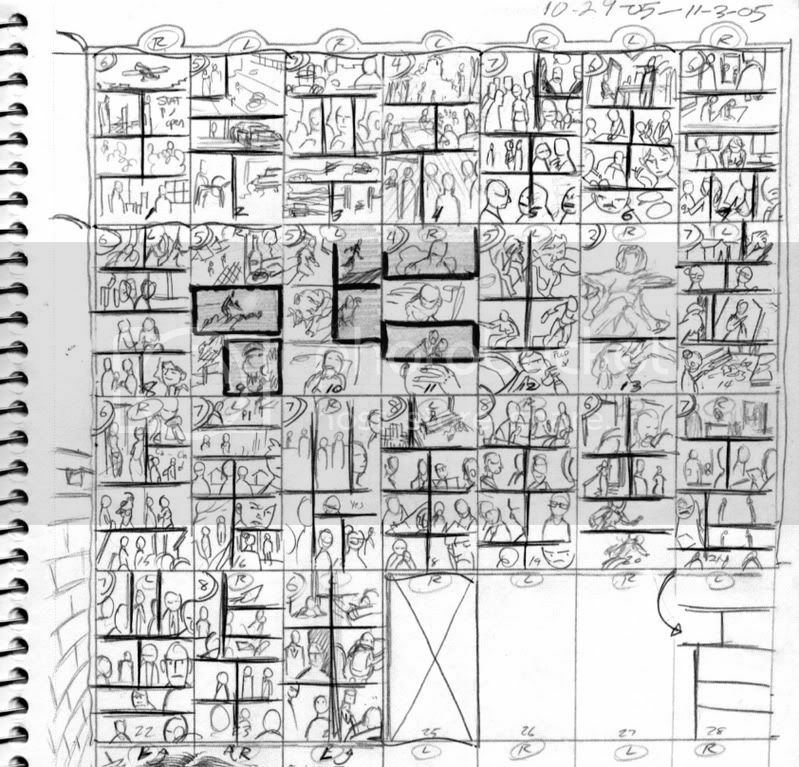 Within the past year or so I've settled into a 2X3 inch thumbnail with just enough drawn int that I can look at it a week later and still know what I drew, and (hopefully) be readable to my editors. Hey, I ain't complaining! I may like seeing these even more than "actual" pages; this shows your brain working. I do something more like the top image, the teeny thumbs, size of a postage stamp. If there's a particular panel that I think will be tricky, then I do some of just that like the bigger ones. And its all in marker.